If you know me well, you will know that I would definitely NOT describe myself as a health and fitness fanatic. I prefer sweet treats to healthy eating, I’m more 5-a-week than 5-a-day and when it comes to exercise, I might be doing it but I’m certainly not digging it. So when Molly from Rose Beauty Files invited a few of us along to a session at Hot Pod Yoga, I leapt at the chance, Then promptly wondered what I was getting myself into. I love the concept of yoga – the relaxation, being at one with your mind and body. However, I must admit I was dreading the whole experience. I’m not nearly as flexible as I imagine you have to be to do Yoga, I’m not massively fit and I don’t deal well with heat. All in all, this was sounding like a very bad idea indeed. Our instructor for the day was Sarah. She was so welcoming and clearly very well informed. She knew her stuff! Once all the girls had arrived we were taken into the pod. It was literally what it sounds like. 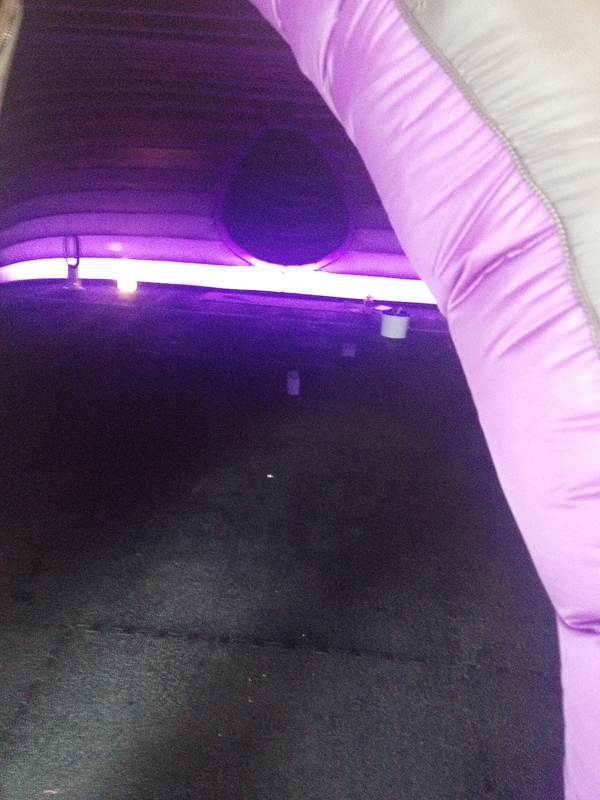 A large inflatable room filled with heaters set to 37 degrees. There was also a humidifier to help produce the right kind of heat. Combined, these two components created an almost tropical environment for us work out. Mats and towels were already laid down for us when we arrived. We all picked a spot and sat down. 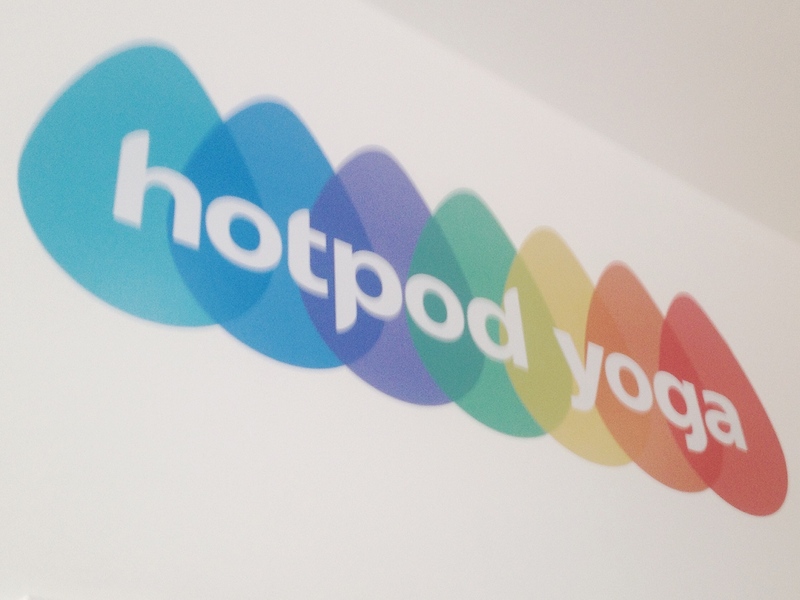 Sarah gave us a really thorough introduction to Yoga and the Hot Pod experience. She was very clear that we were only to go to our own limits and listen to our bodies. She really helped to put me at ease and made me feel A LOT more confident about the class. The workout itself was a very intense experience. The heat was pretty fierce. The exercises started out very gentle, with just some stretches and simple positions. Soon though, the positions got more and more demanding. Sarah demonstrated each movement carefully and gave us a range of options depending on how adventurous or experienced we were. I was happy to have a go at some of the more advanced moves but was also well aware when I had passed a limit. During the session, the sweat was actually pouring off me. I have genuinely never sweat like that in my life. We all took things at their own pace and you would regularly see someone having a sit down for a drink of water or to catch their breath. I have to say that I actually coped quite well with a lot of my positions. I may not be flexible but my balance is pretty good. Overall, I was very pleasantly surprised. I was actually amazed at how much I enjoyed the class. It was incredibly hot and at some points exhausting, but I felt in complete control and even started to feel the flow. By the end of the session I was thoroughly chilled and actually feeling quite emotional. It was a truly remarkable experience. 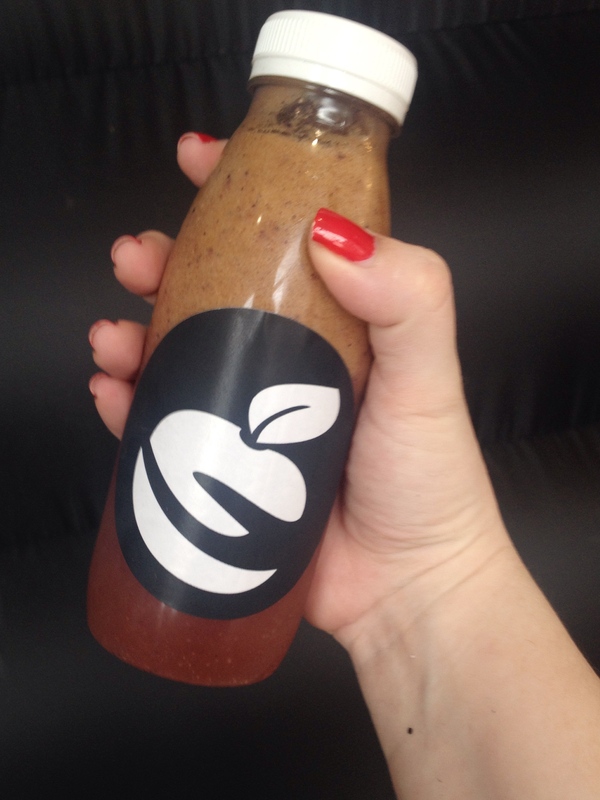 After the class we were each given a bottle of Skin Glow juice from Wholesome Juicery, a new smoothie and juice bar in Nottingham. Normally I absolutely HATE any kind of raw fruit juice, but I have to say this was actually quite tasty. It was also cool and really refreshing – just what I needed after the heat. HEALTH WARNING; I often struggle with dehydration as I know I don’t drink enough. I also hadn’t eaten for about 5 hours before the class. I tried to drink plenty before and during the class but apparently it wasn’t nearly enough. When we came out of the pod I was feeling pretty fantastic, really relaxed and peaceful. After about an hour, possibly from a mixture of dehydration and low blood sugar I was feeling pretty rotten with a serious headache and nausea. I ended up having a lie down at home to recover but after a lot of water and a good meal, I was back to normal again. If I ever do another class I will certainly make sure to drink far more and eat at least an hour before the session. PLEASE make sure you do the same if you decide to give this a go. Hot Pod Yoga really was a bit of a revelation for me. I got far more benefit from it than I had expected and would certainly look at doing it again in the future. I doubt I’ll be signing up for one of their monthly passes, but I would definitely like to drop in again once in a while. I have to say a huge thank you to Sarah for hosting the session and for being so friendly and attentive. She completely put me at ease and supported us all brilliantly through the session. I also have to say thank you to Molly for organising this great event. I never would have thought to book it on my own. If you think you’d be interested in a Hot Pod Yoga class I suggest you check out their website here to see details of classes and prices. If you’re unsure, I would recommend you give it a go. You won’t know if you like it unless you try. This entry was posted in Lifestyle and tagged health and fitness, hot pod yoga, nottingham, Relaxation, wholesome. 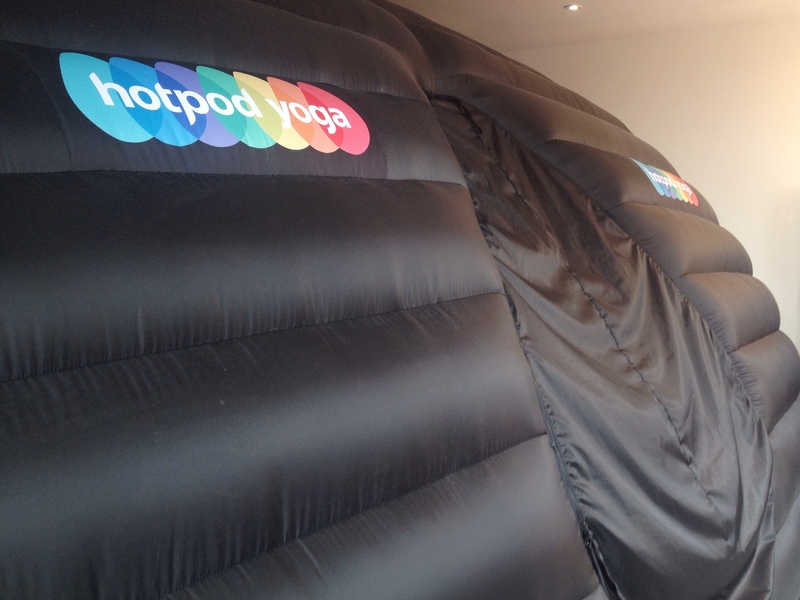 Hot pod yoga sounds right up my street! I’m not normally into yoga but definitely this sounds fun!